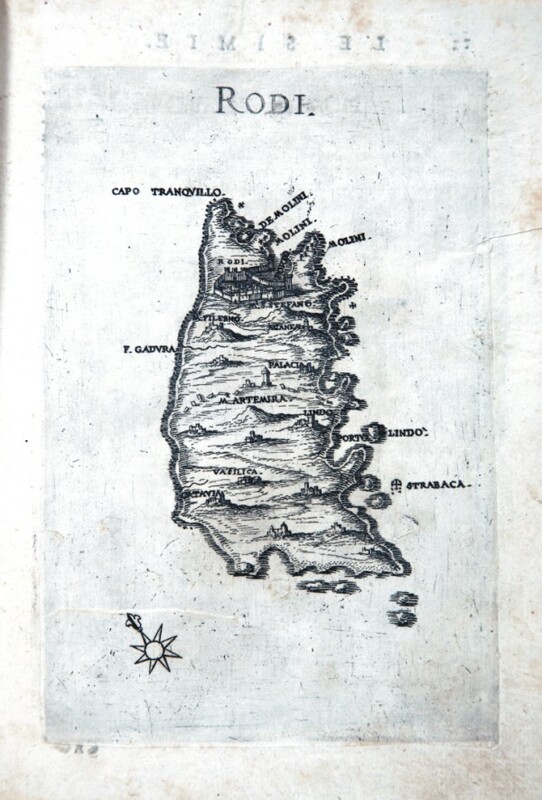 Description: The map which measures 17x24 cm, represents the Greek island of RODI and the work is published in Venice in 1658, the archipelago with the islands, rocks, dry and shallow, with the seas, gulfs, breasts, ports , towns, and castles in form, which can be seen in the present tense, with a succinct narrative Deio their names, stories & historie, ancient and modern. 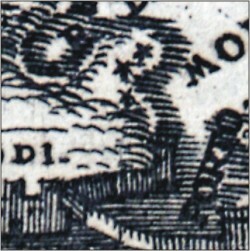 In the drawing above shows the title and right, the scale of 12 miles in a cartouche. The performance is remarkable for the dense and the terrain topography.